How does one pick himself up after a life-changing setback? 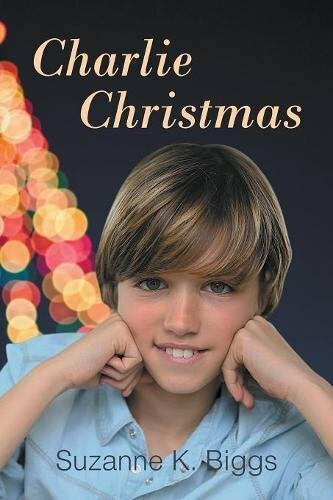 Suzanne K. Biggs’s Charlie Christmas attempts to answer this question through a motivational story of a young boy’s rise from a terrible fall. The juvenile fiction book revolves around how protagonist Charlie deals with the aftermath of a car accident, which cost his parents’ lives and his voice. The accident leaves him no choice but to move away from upstate New York and relocate to a Colorado farm to live with relatives. With school looming around in the fall, Charlie must confront his fear of rejection that came along with his disability. His fear motivates him to pick up sign language. With friends by his side, he learns lessons beyond his expectations. Children dealing with similar circumstances will be able to relate to Charlie’s story. The way he used his fear as a driving force will inspire readers to do the same as they confront life problems. Briggs’s book is a reminder that anyone can stand up after dire circumstances through perseverance, hard work, and determination. Copies of Charlie Christmas are available for purchase on selected online bookstores. Suzanne K. Biggs attended the Institute of Children’s Literature and finished several courses. The author and crochet enthusiast currently resides in northern Colorado with her husband and her pet dog.